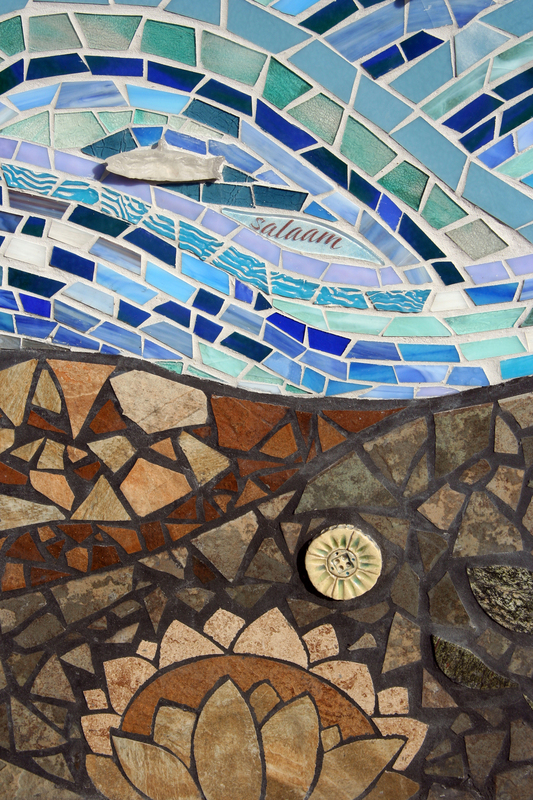 The Salem Peace Mosaic is a participatory mosaic which involved over 600 people creating a 60' long mosaic with porcelain, glass and stone tile. 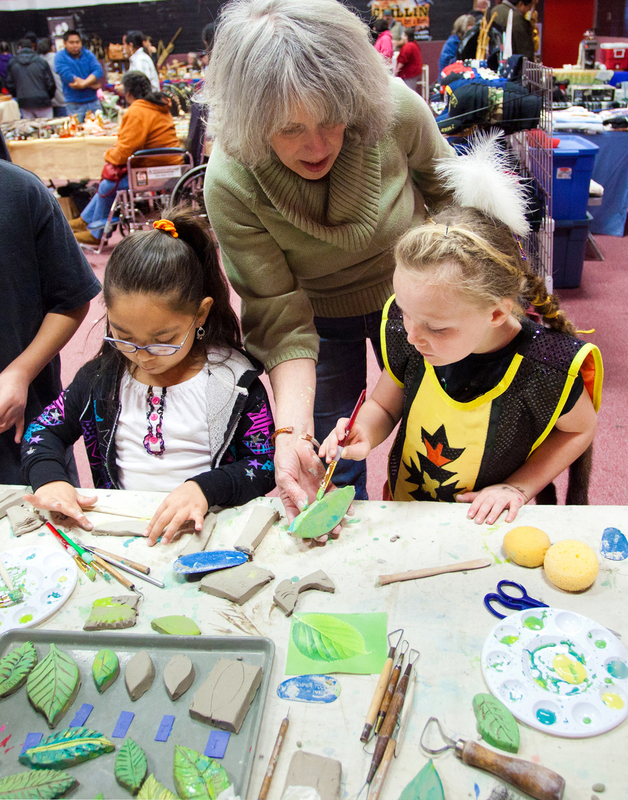 Workshops were held at many locations involving participants from age 3 to 85 in making art and writing poetry to express that Salem means Peace. 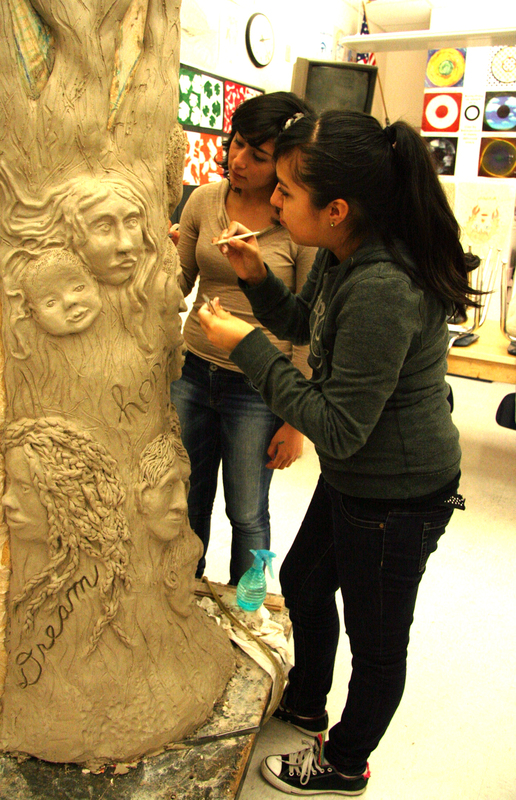 Workshops were held at a senior center, a youth correctional facility, three schools, a coffee shop, two art centers, an art fair, a park, a community organization, a powwow, and for youth whose parents were in prison. 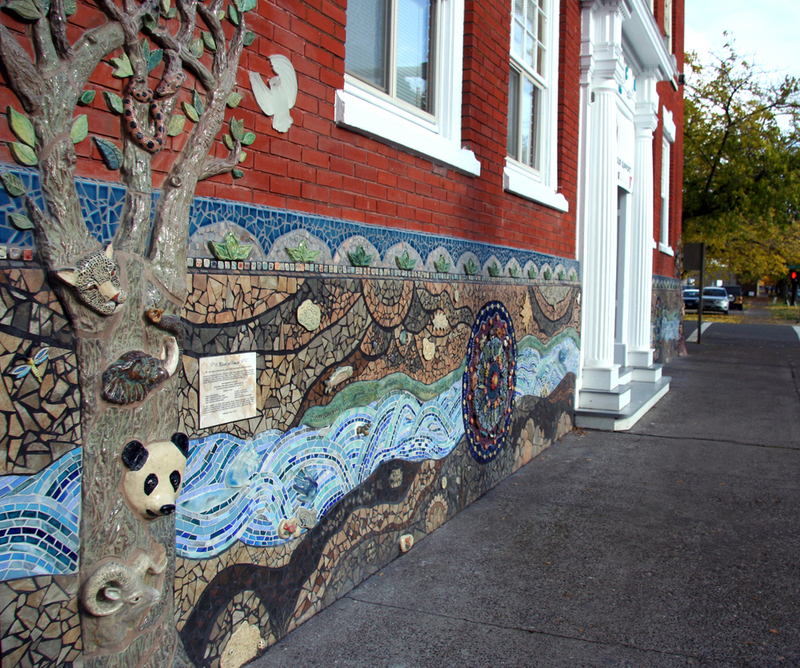 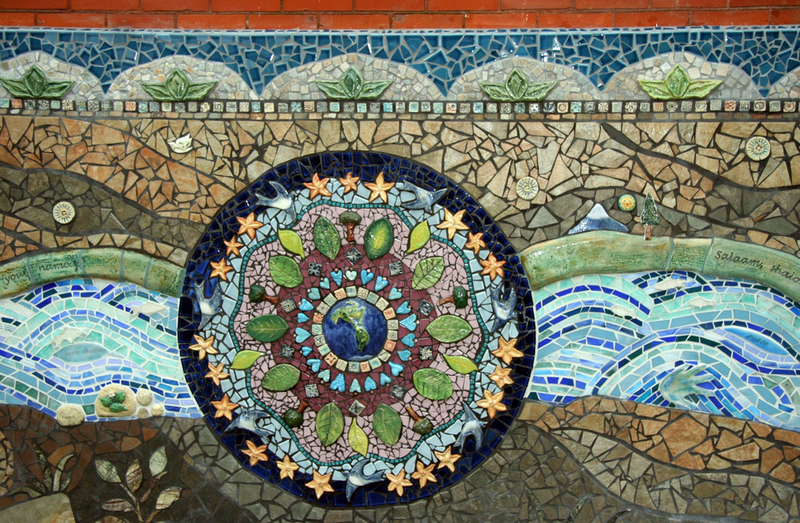 A poem was written for the Salem Peace Mosaic by Oregon Poet Laureate Paulann Petersen. 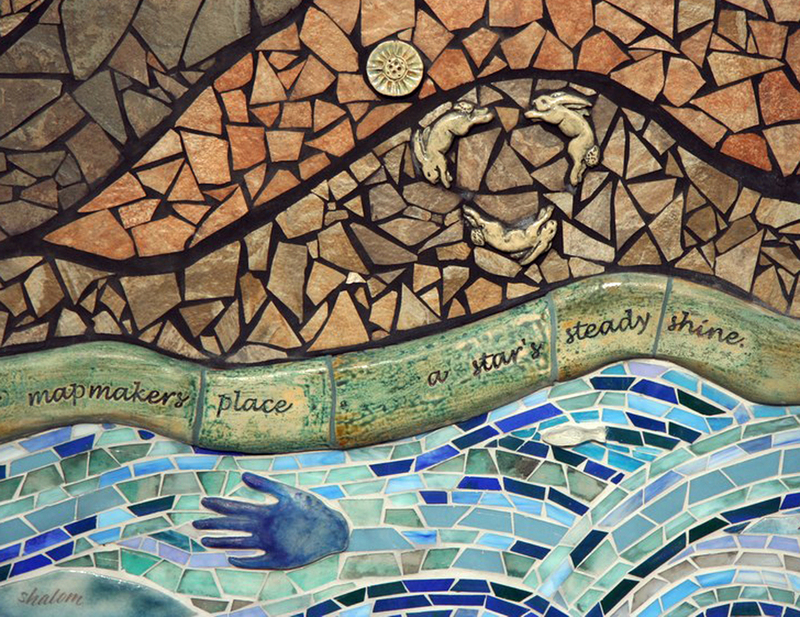 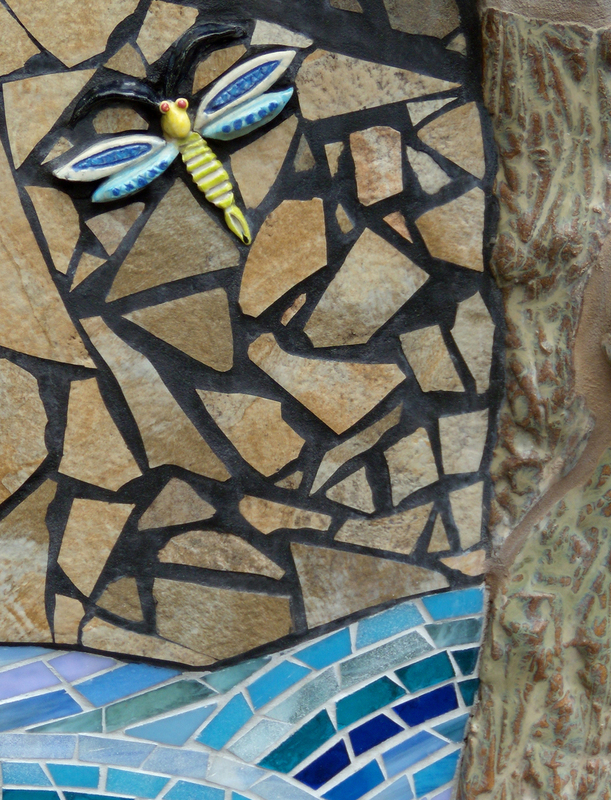 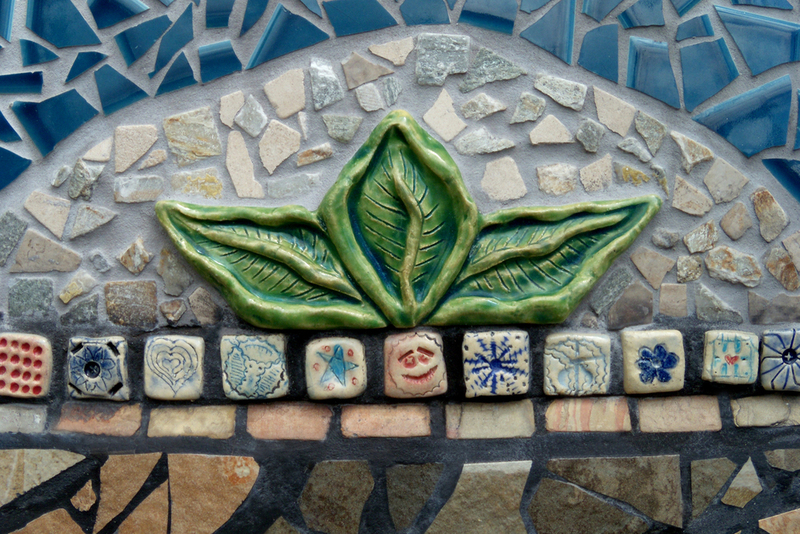 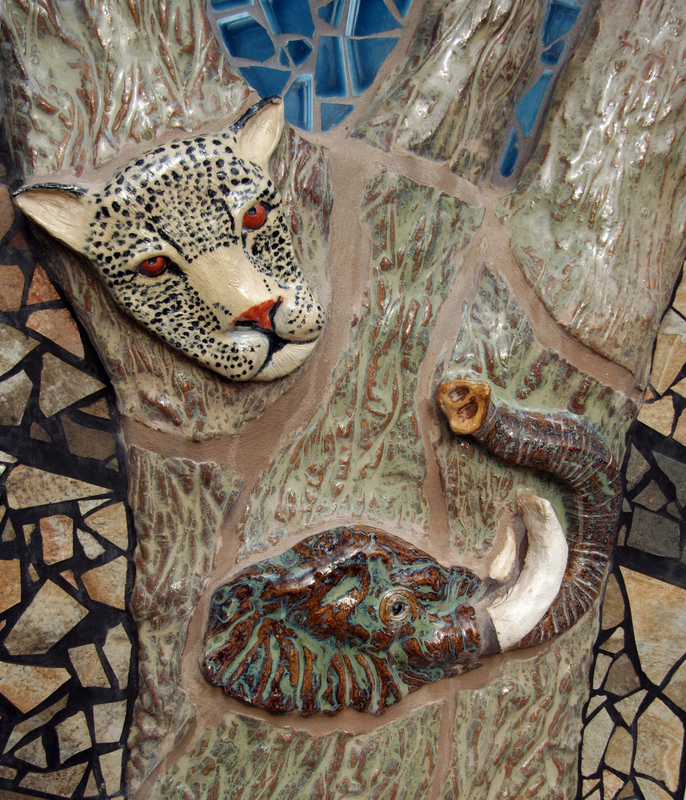 The poem Capital was created in ceramic tile and runs along the 40' glass mosaic river. 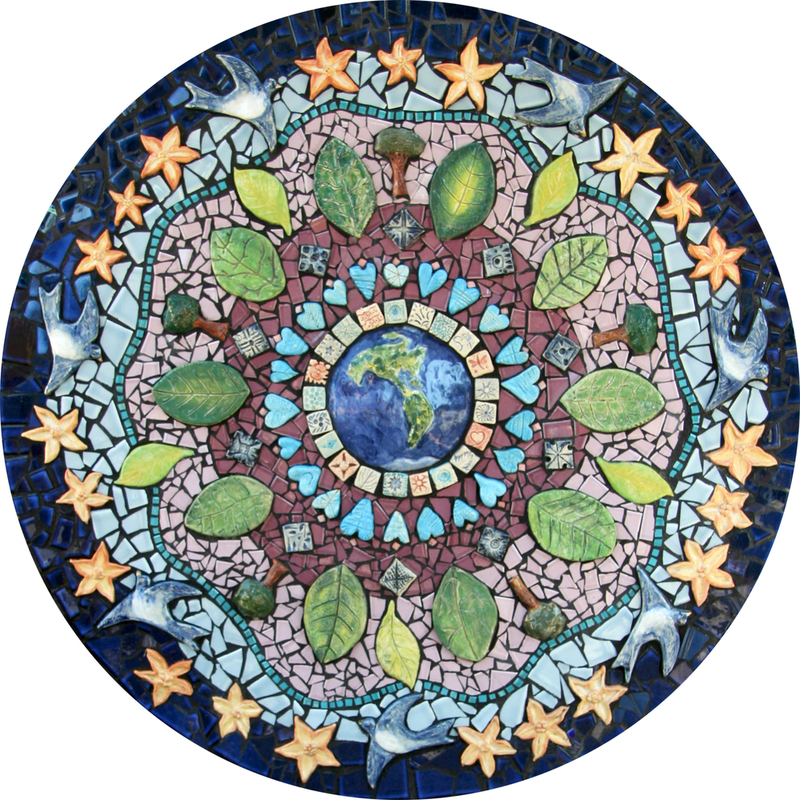 in you our civil law is born. 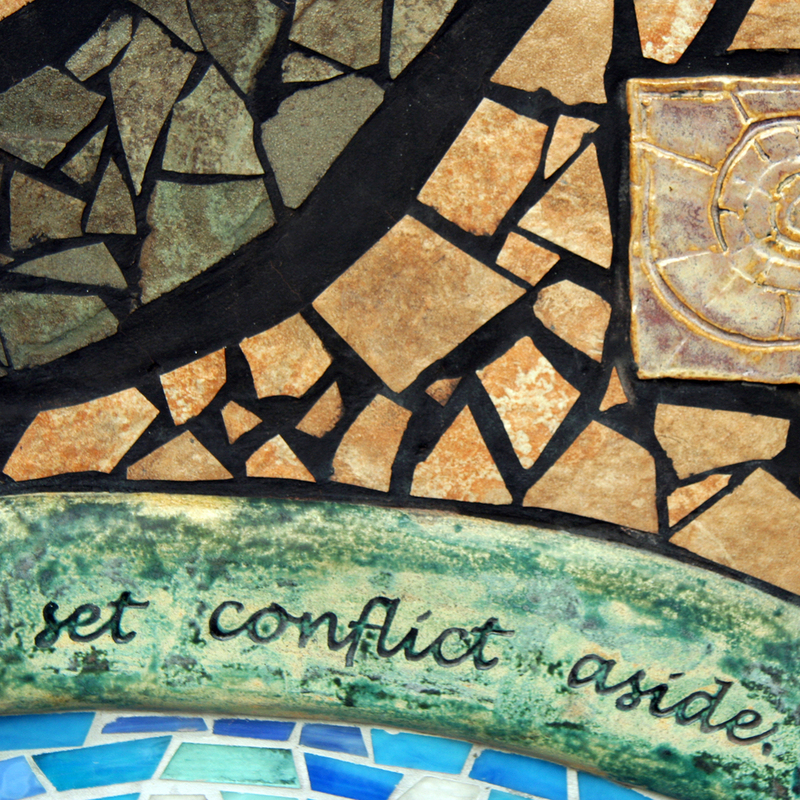 calls us to set conflict aside. 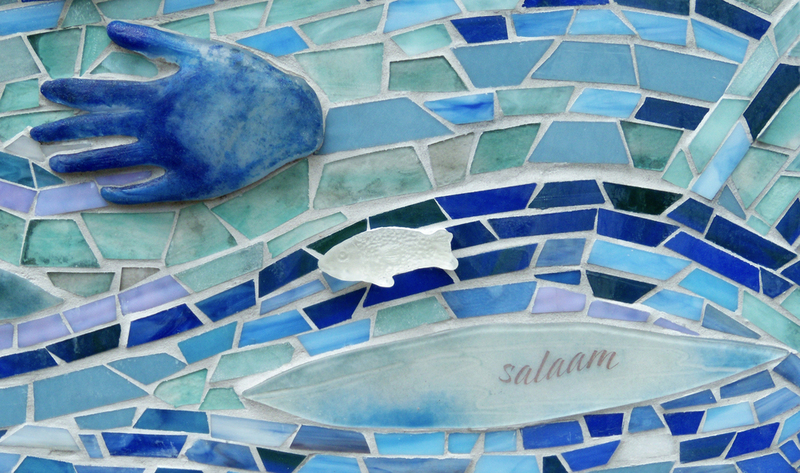 The mosaic river includes the words peace, shalom and salaam in fused glass to reflect that Salem means Peace.